Today in History–October 3–the Library of Congress features Yugoslavia, or the“Land of the South Slavs”, formed on this date in 1929. 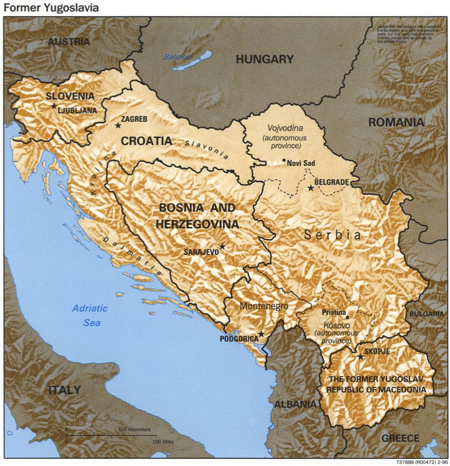 The kingdom included the regions of Serbia, Montenegro, Slovenia, Croatia, Bosnia and Herzegovina, and Macedonia. In the early 1990s, most of the countries had declared their independence; the last to become independent nations were Montenegro and Serbia in 2006. Learn more by visiting the Today in History section, then click the links below to access more information and resources about Yugoslavia.